Aspen Ideas Festival: Robert Rubin addresses Fix the Debt indirectly. 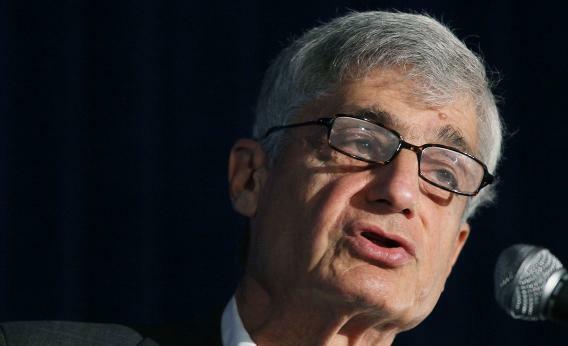 Former Treasury Secretary Robert Rubin said the 24-hour news cycle is partially to blame for Congress’ paralysis. ASPEN, Colo.— The big political question at this Ideas Festival is the same as the question at the last one I attended, in 2011: “Washington: What up with that?” Why can’t Congress do what—sorry for stereotyping—well-heeled investors, doctors, and consultants with liberal social views know that Congress needs to do? That comes up in every session, and it came up early when former Treasury Secretary Robert Rubin and Carlyle Group co-CEO David Rubenstein were asked what needed to be fixed in Washington. Rubenstein went on a tear, citing “money in politics” and “gerrymandering” as the reason Congress has no incentive to cut deals. Rubin got nostalgic for the end of 2012, when Congress never really cut a long-term fiscal cliff deal. “Had we put in place a fiscal program that deal with the outlook we must deal with, had we got rid of the sequester, you could have created more confidence,” he said. But hang on, hadn’t there been a big push by business leaders and lobbyists for Congress to craft a tax-raising, entitlement-cutting Grand Bargain? There had. Rubin and Rubenstein disagreed over the reasons why it failed. “The business community was late to the game in persuading Republicans that they should want compromise,” said Rubenstein. He didn’t mention Fix the Debt, the great lobbying effort that took this campaign all the way from the set of Morning Joe to the set of Meet the Press. I got the meaning, but Rubin was a little more charitable to the cause. One key factor stopping Congress from setting the table for deals was … social media. Tim Geithner’s job, he said, was harder than his ever was because he had to deal with social media buzz. “With the social media and the cable TV,” said Rubin, “as soon as something was announced, [members of Congress] would be inundated” with criticism. And this was a bad thing. Correction, July 1, 2013: This post originally misspelled David Rubenstein’s last name.